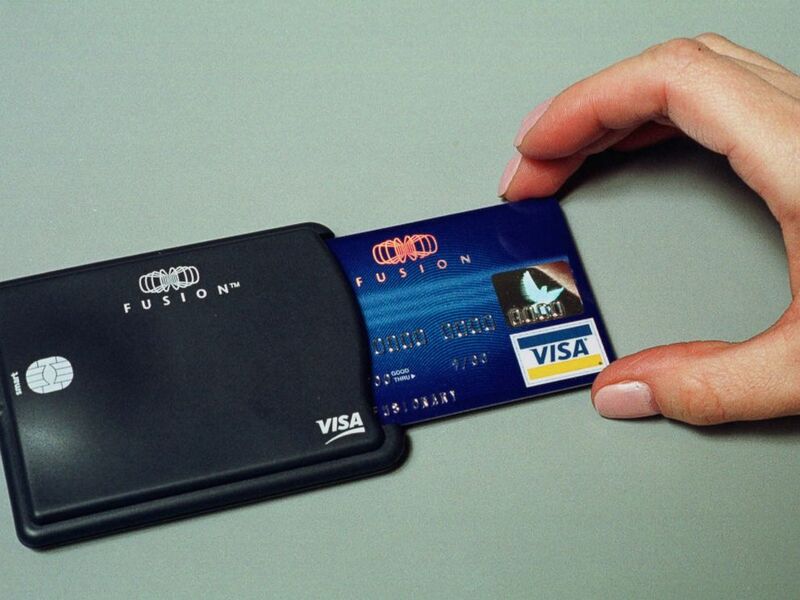 Chip-enabled credit cards will now become the standard for consumers and business owners. Banks and credit companies have been sending consumers new cards, which look like their old cards but are fitted with a small metallic high-tech chip known as EMV, which stands for Europay, MasterCard, Visa — the three companies that created the standard. The chip’s goal: keeping thieves from easily accessing consumers’ personal information. Starting today, retailers and small businesses who have not yet upgraded their credit card networks will be liable for any Visa, Discover or Mastercard credit card transaction that is fraudulent if the card is EMV-equipped. If fraud occurs when a magnetic stripe card is swiped at a chip-enabled terminal, the bank is still responsible for the fraud. American Express will transfer liability to business owners on Oct. 16.Credit card fraud is a growing problem in the U.S. About 31.8 million U.S. consumers had their credit card information stolen last year, more than three times the number of consumers affected in 2013, according to a report published by Javelin, a company that studies customer transactions. According to a report from Barclays earlier this year, almost half of the world’s credit card fraud occurs in the U.S.
A credit card is inserted into a smart card reader at a public relations firm in Cambridge, Mass. on Dec. 7, 2000. McQuay points out that there are limitations with these new cards. EMV chips will prevent a thief from making a copy of your credit card but it won’t stop them from stealing your online payment credentials. EMV technology won’t protect consumers with online purchases, as it only protects consumers when they dip their card in an EMV-ready terminal in a face-to-face transaction, McQuay notes. NerdWallet found that online fraud in the U.K. has risen 120 percent over the last 10 years. In addition, “Consumers still need to ensure that they’re shopping on reputable sites, even if their card has an EMV chip on it,” McQuay said. The EMV liability shift means that any businesses that have not upgraded to EMV payment terminals after today will be liable for fraud that occurs on an EMV-ready credit card. Gas stations have until 2017 to replace readers at pumps. The cost of upgrading card readers among retailers varies greatly between each retailer, according to a spokeswoman for the National Retail Federation. NerdWallet’s EMV shopping guide for small and medium-sized businesses notes that mobile payments service Square has an EMV-ready dongle for $30 while more traditional POS terminals can reach over $1,000. “While this liability shift is intended to create incentives for the market to upgrade to the higher security standard, it does place a large burden on stores, especially small and medium-sized businesses that are already struggling with low margins,” McQuay said. NRF’s Mallory Duncan said the new chip cards are not 100 percent safe unless they also require a customer PIN. “It’s like locking the front door and leaving the back door unlocked,” he said in a statement.